Trump Says North Korea Will Destroy Missile Site. But Which One? At a press conference on Tuesday, President Trump said North Korea would dismantle a missile test site. But without further details, experts say it may not mean much. 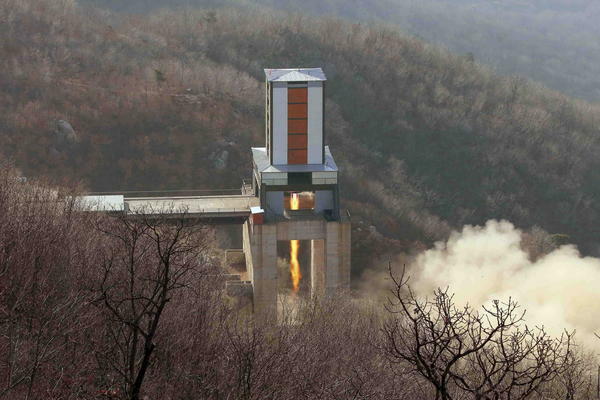 North Korea's missile stands are essentially large blocks of concrete and steel designed to hold rocket engines in place during test firing. Experts have been left scratching their heads over one of the most concrete concessions President Trump says he received from North Korean leader Kim Jong Un during Tuesday's summit in Singapore. At a press conference after their meeting, Trump said Kim had agreed to destroy "a major missile engine testing site." "That was not in your agreement," Trump told reporters. "I got that after we signed the agreement. I said, 'Do me a favor. You've got this missile engine testing site. We know where it is because of the heat.' It's incredible the equipment we have, to be honest with you. I said, 'Can you close it up?' He's going to close it up." But North Korea has several test facilities scattered across the country. Each site has a different role in the nation's missile program, and some are more valuable than others. "It could be something important, or it could be something less significant," says Joseph Bermudez Jr., an imagery analyst with the website 38 North, which tracks North Korea's weapons programs. As with all things nuclear, the details matter. One possibility is that Trump was referring to a site that was dismantled earlier this month. On June 6, 38 North published satellite images that appeared to show a missile test stand being razed at the Iha-ri Driver Training and Test Facility in the northwest of the country. That facility was used to test technologies for mobile missiles, in particular systems to eject a missile from a canister before it fires. But this so-called "cold launch" technology wouldn't produce a heat signature, which the president said was used to identify the facility slated for destruction. It might be that Trump was simply mistaken, says Scott LaFoy, an independent analyst who closely tracks North Korea's missile program. "The president does occasionally get wires crossed with the minute details of things," he says. But LaFoy says it's also possible that Kim pledged to destroy another facility elsewhere in the country. Options include facilities at the Sohae satellite launching station or the Magunpo solid-fuel rocket engine test facility. Each of these testing facilities play a much bigger role than Iha-ri in the North's development program, LaFoy says. Magunpo, for example, is being used to develop a new generation of rockets that could be launched on short notice — making them far more effective. Its destruction "would be a very positive development," LaFoy says. It's also possible that Kim plans to destroy an older facility that has served its purpose. "The old stuff would only be a goodwill gesture," LaFoy says. 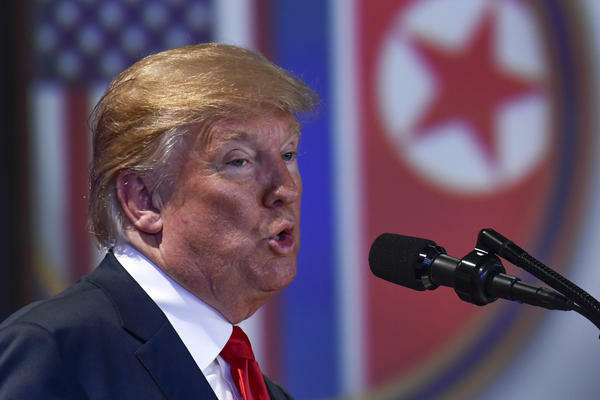 Part of the problem is that the promises Trump has secured from North Korea have been unverified by outside monitors, says Vipin Narang, a political scientist at the Massachusetts Institute of Technology who specializes in nuclear issues. "We basically take their word for it," he says. "They're certainly not letting inspectors in." That was the case when the North demolished its nuclear weapons test site in late May, says Bermudez. Although Western journalists were allowed to visit the site and film its destruction, there was a notable lack of international inspectors and engineers to verify what the reporters were seeing. Based on images shot by the media, Bermudez, Narang and others believe that the North laid point charges at strategic locations rather than dynamiting the entire site. "The way they laid out the explosives, this [demolition] was more for the media," Bermudez says. That means it might be possible for North Korea to rebuild the site at a future date. Narang says the ambiguity around the missile test site reflects a broader lack of specificity coming out of the summit. A signed statement by Trump and Kim mentions "complete denuclearization" in exchange for "security guarantees" but offers no timeline or specifics. "As of now, neither side has committed to anything," Narang says. "Once you get past the reality TV theatrics, you're left with very little."